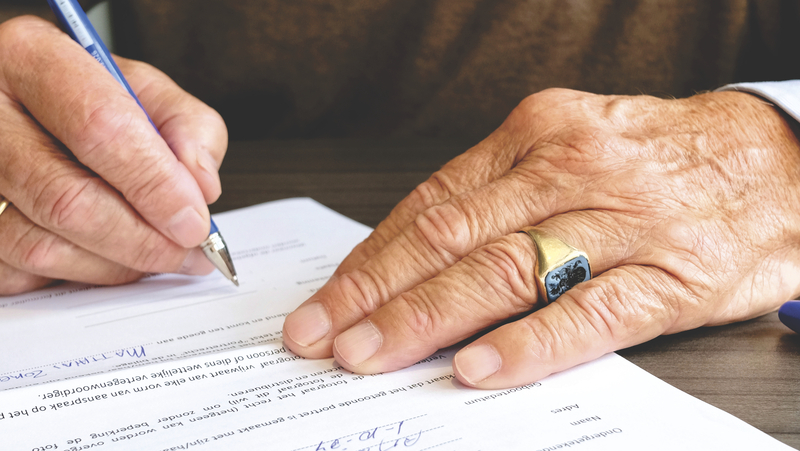 Access to traditional banking is permitted by signing contracts that are always set out to protect institutional self-interests. If you don’t comply, you are cut out from society and left without access to basic financial services and funding. Thus, people are presented with an ultimatum: you can either conform to serve the banks, or be considered an outcast from the evolving economy. This ultimatum surfaces the question: what about the upwards of a billion people in the world who do not have access to bank accounts, or the countless individuals prohibited from opening one? How are they supposed to participate in the surging digital economy and have access to funding and safe storage of their capital? With the introduction of blockchain technology, we have witnessed an emergence of new money – decentralized digital money – with which we can transform the world into a universally equal playground. However, now that nearly anyone is able to participate in a borderless global economy and have full control of their own finances, privacy and security, concerns have arisen regarding whether people are capable of managing their money in their “personal bank” safely. While most would still rather trust their money to the bank, the real question is whether the belief of less risk associated with banking is really true. 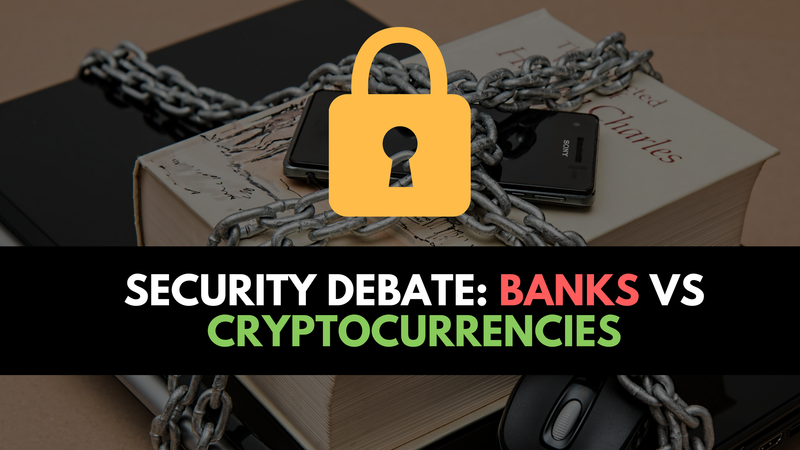 In this article, I will attempt to make a case against traditional banking not being as safe as people are led to believe, and argue that there are bigger risks and security threats involved than with cryptocurrencies. 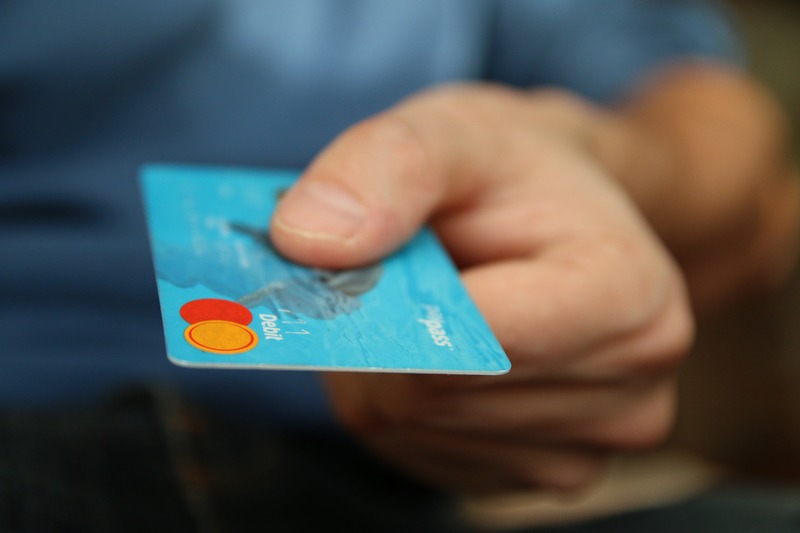 By releasing an identifier that allows banks to pull money from our account without authorization, we are giving out our privacy and endangering personal financial security every time we use our cards. Additionally, we live in a world where businesses depend on electronic data and computer networking to operate, meaning they are growing databases of personal and financial information and storing it in a centralized location. Consequently, this exposes that pool of data to privacy violations and breaches in data security, leaving countless people vulnerable to identity theft and the use of their personal data for fraudulent activities. The 2017 Identity Fraud Study, released by Javelin Strategy & Research, found that $16 billion was stolen from 15.4 million US consumers in 2016, compared with $15.3 billion and 13.1 million victims a year earlier. In the past six years, identity thieves have stolen over $107 billion – and that is just in the US alone. Globally, the Center of Strategic and International Studies indicates an annual loss from cybercrime of somewhere between 375 and 575 billion US dollars, with numbers increasing every year. This problem occurs due to banks and companies storing information in their databases and using a pull mechanism for transfers. Every year, there are countless instances of identity information put at risk, due to records maintained in government and corporate databases prone to being lost or stolen. Meanwhile, we are served a false sense of security, which has proved to fail us time and time again, because identity thieves have gotten more sophisticated in their methods due to the countless loopholes in centralized security. Stealing your identity has become as easy as taking your card when you aren’t looking, digging through mail or trash for bank statements or other documents containing personal details, buying information from inside sources (such as company employees), skimming information from ATMs with special devices, swiping personal information from unsecured websites or public WiFi, stealing electronic data through data breach – the list can go on for days. Is this the type of security you had in mind when trusting everything to banks and other centralized bodies? By allowing banks to facilitate every transaction by centralization and letting them “sell” our information, we are not only targets of credit, debit, and checking and savings account frauds, but also subject to all sort of data leaks where our information is misused or manipulated for illicit gains. Another question anyone should be having is in relation to inflation and systemic corruption. 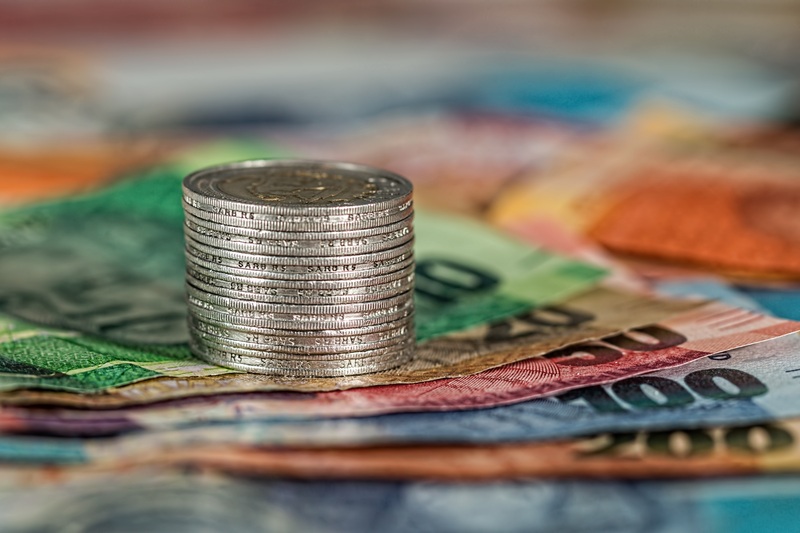 You might wonder how this has anything to do with security – however, being able to predict the exact inflation rate and calculate the depreciation of your wealth arguably provides security in certainty. Security should not only be taken in the context of technicality, such as password leaks or data thefts, but also in being able to know that your money does not continually lose value at an unexpected rate, or even become worthless due to hyperinflation. If you argue that this does not fall under the conversation of financial security, you might want to ask the people of Venezuela or Zimbabwe about how this issue can lead to economic ruin. What if your country is next in the line of currency failure? Are we still talking about computer hacks then, or does the security conversation shift to millions losing their jobs, homes, and even lives? Currency crisis is already happening in the world – as indicated before, Venezuela and Zimbabwe are prime examples. These countries are just the forerunners of the upcoming crash, because they cannot delay economic collapse as long as more economically developed countries can. It is a massive, systemic fraud that prevents the economy from naturally correcting, ultimately leading to a catastrophic collapse once things get too out of hand. Unfortunately, in that instance, the taxpayers will be the ones to carry the burden, while the ones pulling the strings profit from the economy’s demise. These same governments and banks ignorantly state that cryptocurrencies are not safe because malicious activities can be done anonymously – and yet they are the ones promoting inside corruption, funding the war criminals, paying the arms dealers, and doing it through the same banking system that we so blindly support. So what about that security? What about all the money used to create harm and promote war and destruction in the world? This expands to not only financial security, but also the national security of multiple nations. While I already touched on centralization in relation to inflation and identity thefts, I want to express additional risks with central actors. 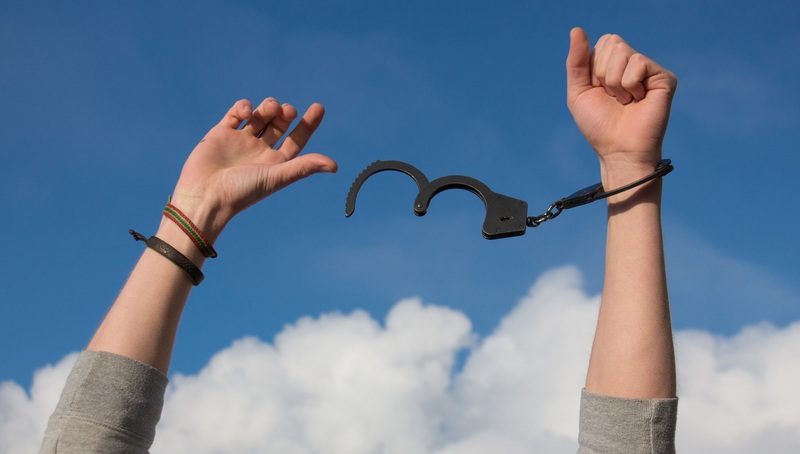 The traditional banking system requires us to surrender control to centralized bodies and, as a result, security and authority have to be vested in those bodies – we give them complete control and trust. However, in such a security model, the facilitating body (or the center) serves self-interests and is carefully protected by controlling access and ensuring that only certain individuals and organizations can gain access to it. The banks have full authority and power over the money you give them, and they act without restrictions due to limited oversight and evolved systemic corruption. Due to this closed environment, such bodies can also never be open to innovation, because their security relies on access control. Furthermore, it allows no competition to be formed that could provide better options or opportunities, which is a monopoly of the financial system masked as consumer protection. While there are some valid points being made regarding blockchain security, it is often ignored that the security of governments insuring banks is not a good thing, because if the bank gets hacked or simply goes under, the insurance will bail them out for your money. It is always the taxpayers who suffer the consequences of corrupt banking and centralized access control, which can no longer be deemed viable after countless instances of failure. On a daily basis, we have it ingrained in us that banks are the safest option, when in fact it is we who are insuring the banks, not the other way around. I say it is time for people to have a choice in terms of their personal security, not be forced into a centralized monopoly built on corruption, manipulation, and lies. Having covered various security drawbacks related to the traditional banking system, I would like to make a case for cryptocurrencies. Peer-to-peer technology places more power in the hands of users, which can be a huge upgrade to the way money works. I will now cover safety benefits of cryptocurrency in the same order as the issues of banking were covered. If a hacker has access to the network, they have no power over the network itself, and as such don’t compromise trust in the network; this means that the network can be open to anyone without authentication or prior authorization. The decentralized nature of cryptocurrencies ensures consumer protection in the most powerful way: by giving users direct and full control over their wealth and transactions. Cryptocurrencies also don’t force you to reveal your identity and data with every transaction, nor do they require users to sacrifice control to centralized bodies in order to transact. You don’t need to trust anyone, and therefore it is not prone to central points of failure, which would necessitate oversight and regulation. While individual wallets, if not properly stored, can be targeted, the network can never suffer centralized systemic risks and collective data leaks. Furthermore, cryptocurrencies utilize a push mechanism, as opposed to the traditional pull mechanism of credit cards. This means that there is no authorization to pull from your account, because only you have the power to push the precise amount from your account to the recipient. This also means that a single transaction does not authorize any future transaction or expose information that could be stolen and manipulated in the case of systemic failure (such as data leaks of companies or database hacks). Moreover, when you begin to explore the suggestions governments and corporations make (set up alerts for unusual spending, keep tabs on credit reports and charges, create complex passwords, set daily limits, enable 2-factor authentications, etc. ), they are no different than the measures of storing a cryptocurrency, yet cryptocurrency is not prone to systemic failure and theft of databases, because the end-user’s information isn’t stored anywhere. Therefore, using cryptocurrencies diminishes the risk of identity thefts significantly and reduces massive user-data acquisition opportunities due to decentralization. Unlike fiat money, which can be printed at will by central banks and governments, the supply of cryptocurrency is mostly capped and cannot be created out of thin air. Furthermore, what provides security and certainty in most cryptocurrencies is the ability to know exactly what the inflation rate is years from now, and being able to calculate risks and downsides associated with it. With traditional banking, we cannot do that, and we are always at risk of having inflation decimate our worth and ultimately our economy. Therefore, the outcomes of cryptocurrency valuation are not based on corruptible bodies, because the user can have certainty in the supply and not rely on the words of some higher person in the banking system or government. Cryptocurrencies, when used properly, protect privacy, property, and individual human dignity. They cannot be arbitrarily seized or devalued by anyone – they have a true reflection of market value based on supply and demand. Ultimately, they are deflationary currencies with the capacity to protect the purchasing power of your retirement savings, encourage capital accumulation (the only cure for poverty), and discourage both unnecessary spending and foolish malinvestment. It is a currency of the people, where no one has more power than the other, and everyone has the ability to transact freely without fear of the money supply being manipulated for self interest or centralized, systemic control. Why is cryptocurrency a better form of money, then? Well, the answer is that it cannot be debased, nor controlled by any person or privileged group of people. It is money that derives its price from the market instead of by coercion and force, making it a better, more ethical and honest store of wealth. Most cryptocurrencies operate with no central authority or banks, reducing the risk of your counterpart betraying you. No one can close down or freeze your account for doing something they don’t like, as is the case with centralized banks. Cryptocurrencies are also mostly open-source – their design is public, that is, nobody owns or controls it and everyone can take part. It is not a system of corrupt regulatory capture, nor is it a product or a company; it is a network protocol where people can voluntarily take part. These characteristics make it the polar opposite of fiat money, in that the security of the system is put in the hands of the users, not surrendered to banks, governments and facilitating bodies. Furthermore, there is no one that you have to be responsible for; banks and governments cannot manipulate the money supply and lie about it to the general public. Therefore, taxpayers do not have to pay for the banks’ screw-ups anymore, since they have complete control and authority over their personal capital. There is, however, the risk of being scammed or hacked – but it is a common misconception that it is extremely easy to lose your money. The truth is that it all comes down to how your store your cryptocurrencies and what security measures are in place. Security breaches usually result from the user not being in control of the private keys and storing money on exchanges, which significantly increases the risks of being hacked or scammed, since the money and information is, again, stored on a centralized system. Since exchanges provide you with a temporary wallet where you can store your coins, they control your data and private keys, just as banks control the identity and money tied to your bank account. Private keys give direct access to a wallet, and hence the funds, which means that you are immediately exposed to various security risks when letting centralized exchanges control them. However, the difference is that with cryptocurrency, people have an alternative – they can use an offline wallet where all coins are locked on the public ledger and private keys determine ownership, meaning that money can be stored without the risk of being exposed. This is a free system which gives power of security, responsibility and authority to the end-user, not a centralized body. Sure, people are forced to be responsible and careful with having their own “private bank”, but full control can never exist without caution and care. With cryptocurrencies, as long as you keep your private keys secure from hackers by using a hardware wallet or a paper wallet, then nobody can touch your money and you are in complete control, not at the mercy of banks. In addition to technical security, cryptocurrency also has the benefit of financial security, in that you always know you’ll have a chance to get access to funding when needed. People will try to convince you that Bitcoin does not provide any security and has no value, but tell that to the parents of a sick child who, unable to afford medical treatment, made a Facebook video asking for BTC donations and are hoping it goes viral. Or tell that to the 17-year-old who taught himself to code and is freelancing online for normal rates in order to feed his family in Venezuela, where inflation is at an estimated 4,000%. Tell him that he shouldn’t accept Bitcoin because it’s not “real money” and is consequently risky. The argument that cryptocurrencies are used for malicious things is not a valid argument anymore, since if we count currencies as a reflection of their society, there will always be criminals and crime, no matter what currency we use. Clamping down on cryptocurrencies based on the minority problems (which already exist with fiat money anyway) instead of developing them for their enormous potential, will only benefit the same centralized bodies and corrupt politicians who are part of the problem in the first place. Real security shouldn’t be taken for granted due to people not wanting to adapt to change (and sacrificing everything to banks for it). We shouldn’t surrender all forms of security for a little peace of mind that comes in the form of banks’ insurance policies, which we ultimately end up paying for ourselves. If we can control our own money and live in a globally connected world, where a currency is not forced upon us, but rather something we make an educated choice to participate in, then we are much less prone to the various economic problems we face today. Just because we are not yet in the position where everyone is 100% guaranteed with safety measures does not mean that we will not reach that point in time. We must understand that currency is ultimately a reflection of the people, so we should not allow obstacles on the way to destroy the potential for good. Even though you might not rely on cryptocurrencies, there are countless people on the other side of the world who do. The conversation of security cannot merely remain in the context of storing money, but also what consequences there are regarding allowing our money to be handled by centralized bodies, where transparency and honesty is the last priority. Cryptocurrencies already remove most of the security threats caused by systemic corruption and centralized control. With a little bit of work, hope, and commitment, we can build a new, more transparent world full of endless possibilities, where authority for currency manipulation is ripped from the banks and people are given the choice for how personal security is handled.